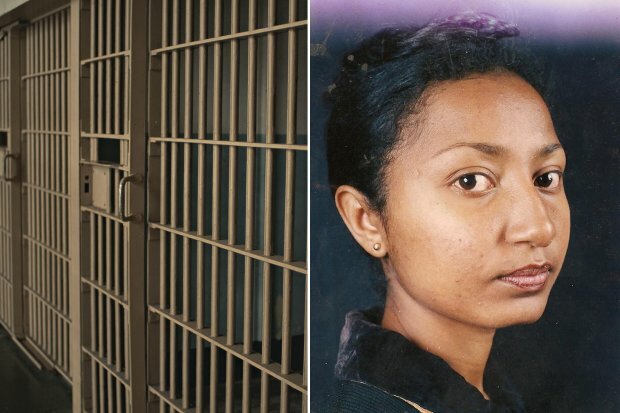 A global women’s rights and advocacy group, Safe World for Women, has put up an online petition for the immediate release of jailed award-winning Ethiopian journalist with breast tumour, Reeyot Alemu. where she teaches and kept in an undisclosed location. Four days earlier, she had written a critical article about the fund-raising method for a dam project by the ruling political party in her country comparing then Prime Minister of Ethiopia, Meles Zenawi, with late Libyan leader, Muammar Gaddafi. She was subsequently charged with supporting an unnamed terrorist organisation but her specific crimes were not listed. In 2009, the Ethiopian government passed a vaguely worded and far-reaching anti-terrorism law that allows it to charge anyone thought to be encouraging terrorism. Ms. Alemu was initially sentenced to 14 years in prison and fined about $2,000 (N319, 580) but an appeal court later commuted the sentence to five years. During her trial a government prosecutor presented articles she had written criticising the prime minister and telephone conversations about peace protest as evidence against her. Despite her failing health, she refused an offer of clemency in exchange for providing information on other journalists. She was placed in solitary confinement for two weeks as punishment. “I believe that I must contribute something to bring a better future… Since there are a lot of injustices and oppressions in Ethiopia, I must reveal and oppose them in my articles,” she told the IWMF in an earlier interview. She is also the 2013 winner of UNESCO-Guillermo Cano World Press Freedom Prize. She was held for three months before the trial without the opportunity of a counsel during the trial proper. Her charges were never read to her and the witnesses used by the prosecutor were anonymous. Before the trial, the government also ran a documentary on national television profiling her as a terrorist. Despite the tumour in her breast, she is being denied proper medical care. Her father, the only person allowed to see her said her breast is bleeding. She might lose the entire breast, even die, if she does not get prompt attention. The Ethiopian government is one of the most intolerant governments in the world. “Woubshet Taye, Reeyot Alemu, and Elias Kifle have been sentenced solely in relation to their peaceful exercise of their right to freedom of expression, in violation of Article 19 of the International Covenant on Civil and Political Rights and Article 9 of the African Charter on Human and People’s Rights, to which Ethiopia is a signatory. We therefore protest the harsh sentences handed down to them and call for the immediate and unconditional release of Taye and Alemu,” said the PEN American Centre. The petition will be sent to the United Nations’ UN Special Rapporteur on the promotion and protection of the right to freedom of expression, Frank William La Rue, UN Special Rapporteur on Violence against Women, its causes and consequences, Rashida Manjoo, and UN Special Rapporteur on torture and other cruel, inhuman or degrading treatment or punishment Juan Méndez. A copy will also be sent to Permanent Representative of the Ethiopia to the UN, Tekeda Alemu. Seattle is one of the hotspots of American cities that attract Ethiopian opposition groups. For instance, the latest visitor to Seattle was Yilkal Getnet, chairperson of Semayawi Party, the newest and youngest opposition sensation that has raised the hopes of the Ethiopian people for change. Semayawi Party has also sparked questions like will it succeed in the place where others failed? Will it endure, and eventually remove the hopelessly corrupt and ruthless TPLF/EPRDF regime? Answers may be mixed but one glaring credit to Semayawi Party is that its defiant actions have helped wake up the opposition party Medrek from its deep sleep. It was Semayawi Party that held an opposition rally in Addis Ababa, despite ruling party threats of arrests and beatings. It was also Semayawi Party that travelled to Benishangul Gumuz to show support to those who were being uprooted from their homes because of their Amhara ethnicity. It was a wake-up call for others. There are marked differences between Semayawi Party and the other leading opposition party known closely to the Diaspora, and that is Medrek. One difference is while Medrek is led by veterans of the non-violent form of struggle during EPRDF’s 23 years of rule, Semayawi is a new comer that was born out of the womb of Andinet, which until recently was a Medrek founding member. And Semayawi is almost exclusively a youth organization, a major asset given that 70 percent of the Ethiopian population is under 35 years of age. The toddling Semayawi Party has already won the endorsement of Alemayehu Gebremariam, a prominent political science professor at University of California in St. Bernadino. “I’ve thrown my trust behind Semayawi Party because I believe that they are capable to bring about the desired political change in Ethiopia,” Almariam said, when he addressed Seattle on January 12. For the young Semayawi Party, it was an accolade that came at the right time and was rare among other opposition parties. To the Ethiopian Diaspora, specially to Seattle, Semayawi Party was embraced as a force promising to effect change. This is felt, among others, when the fearless Yilkal wisely addressed some thorny issues such as Emperor Menelik as well as the merits of a non-violent form of struggle as opposed to the destructive armed struggle which, even if won, favors the coming to power of an armed group, and hence the vicious cycle of dictatorship. The Seattle audience rewarded Semayawi Party by raising $14,500 right away, and this was a generous amount given that it was Semayawi’s first-ever visit to North America, and yet the outcome has been better than what Medrek had experienced in Seattle. Medrek’s last delegation consisting of veterans Seeye Abraha and Merera Gudina didn’t leave a good taste in the mouth of the Diaspora opposition. The time coincided with the death of the tyrant Meles Zenawi. So, Medrek’s delegate Seeye seized the moment and lectured about how Meles was respected by the Ethiopian people. Seeye’s remarks raised the eyebrows of the audience. He didn’t stop there either, and continued to pour lavish words of praise over the ruthless tyrant who reduced Ethiopia to a landlocked nation that he successfully tormented along ethnic lines. “The Ethiopian people have relatively prospered during EPRDF’s peace-time rule of over 20 years,” Seeye said, without blinking his eyes. 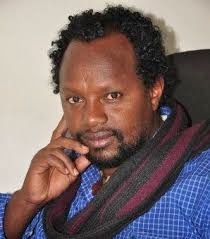 Is this really Seeye Abraha or Shimelis Kemal? The audience was confused. He said much more but what’s already mentioned is suffice to give the reader a clue. Merera Gudina, long known for his incisive remarks against the EPRDF regime, also joined the Seeye chorus, and looked timid and subdued. The message was clear. It is ‘We don’t listen to you.’ If so, why the trouble of coming to the Diaspora? It was very clear Medrek, or in Seeye’s case Andinet, was in big trouble. Seeye was much more sounding like EPRDF I wonder how his former comrades in the ruling party failed to roll out a Red Carpet upon his arrival at Bole Airport. But wait? Hasn’t he already quit Andinet for a high-paying job with the UN Peacekeeping force? [The Americans had reportedly asked Meles if there was a problem hiring Seeye for the job. Meles said he had no problem. Some say Seeye’s eulogy, despite his suffering in prison for years, was a tribute for Meles]. Today Andinet has pulled itself out of Medrek, and with the return of Engineer Gizachew Shiferaw as chairperson of the party, one new question everyone asking is “Again?”. Well, will Gizachew be a comformist to the decadent EPRDF rule, or a born-again defiant figure in the face of EPRDF ruthlessness? Time will tell.For now, it looks like Semayawi Party has had an auspicious moment in North America. Kudos to the youth! Ethiopia’s use of sweeping anti-terrorism law to imprison journalists and other legislative restrictions are hindering the development of free and independent media in Africa’s second largest country, according to a reportpublished today by the International Press Institute (IPI). Newspapers and News Publishers (WAN-IFRA). The report urges the Ethiopian government to free journalists convicted under the sedition provisions of the 2009 measure. These journalists include Solomon Kebede, Wubset Taye, Reyot Alemu, Eskinder Nega andYusuf Getachew. Mission delegates were barred access to the journalists, who are being held at Kaliti Prison near the capital Addis Ababa. 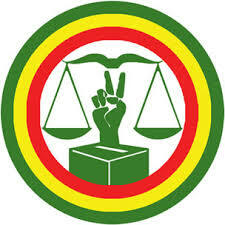 The report urges the 547-member lower house of parliament to revamp the anti-terror law to ensure that it does not trample on the rights of freedom of speech and assembly provided under Article 29 of the Ethiopian Constitution and further guaranteed under the African Charter on Human and People’s Rights and the U.N. Human Rights Covenant, which Ethiopia has ratified. Recommends that Ethiopian lawmakers review laws that bar foreign investment in media, measures that inhibit the development of an economically viable and diversified market. Urges the courts to ensure that rulings restrict press freedom only in cases of intentional incitement or clear participation in acts of terrorism, and that judges act independently to protect the public’s right to be informed about political dissent and acts of terrorism. Urges Ethiopia’s journalists and media owners to step up cooperation to improve professionalism and independence, and to form a unified front to defend press freedom. The joint IPI/WAN-IFRA mission was carried from Nov. 3 to 6, just ahead of the African Media Leaders Forum (AMLF) in Addis Ababa. The organisations’ representatives met with more than 30 editors, journalists, lawyers, politicians and bloggers, as well as associates of the imprisoned journalists. The delegation also held meetings with the ambassadors of Austria and the United States, a senior African Union official, an Ethiopian lawmaker and government spokesman Redwan Hussien. The organisations urged Prime Minister Hailemariam Desalegn to free the imprisoned journalists, some of whom are suffering from deteriorating health. In a joint statement issued immediately following the mission, IPI and WAN-IFRA also expressed their commitment to helping improve the professionalism, quality and independence of journalism in Ethiopia. While the report highlights a long history of press freedom violations in Ethiopia, including a crackdown on journalists and opposition politicians following the country’s 2005 national elections, it notes that the 2009 anti-terrorism law has given the government expansive powers. The report notes other forms of pressure by the government. Independent journalists recalled being the target of smear campaigns by state-run media, while editors recounted that managers of the government-run printing press refused to print editions of newspapers containing controversial articles. The report does note positive developments, such as the growth in advertising and readership for some of the country’s leading independent newspapers. Journalists and newspaper publishers also expressed a desire to improve professionalism, quality and solidarity; although they added that government pressure and laws continue to create hurdles to self-regulation and cooperation.